Svensk Filmindustri, 1924. Directed by Mauritz Stiller. Camera: Julius Jaenzon. With Lars Hanson, Greta Garbo, Ellen Cederstrom, Mona Martenson, Jenny Hasselquist, Karin Swanstrom, Gerda Lundequist, Torsten Kammeren, Svend Tornbech, Otto Elg Lundberg, Sixten Malmerfelt. Gösta Berling (Lars Hanson), a minister, loses his position in the church because of his overindulgence in alcohol. He becomes involved in high society and the women that belong to it. 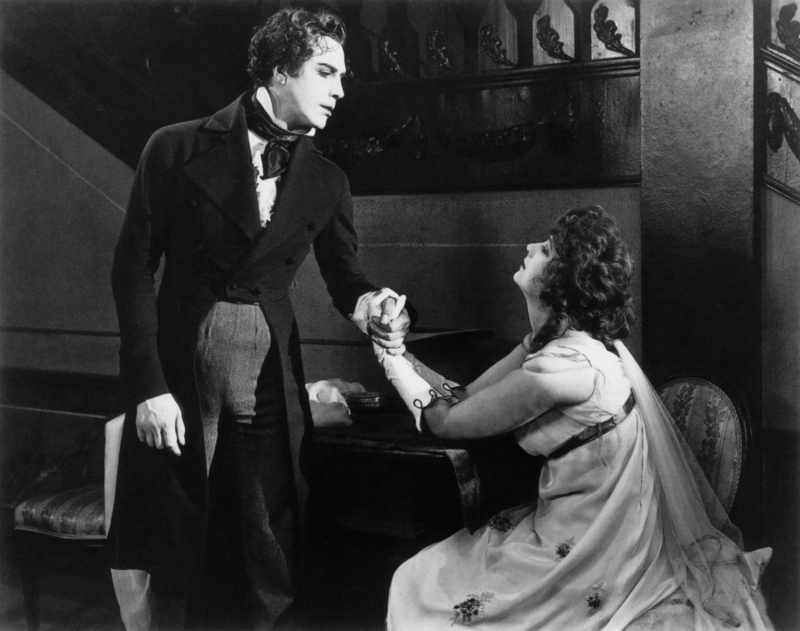 He meets Countess Dohna (Greta Garbo) and falls in love with her. He sees in her qualities lacking in other women he has known. Eventually, it is she who helps him to redeem himself. This was a Swedish film and Garbo's second. 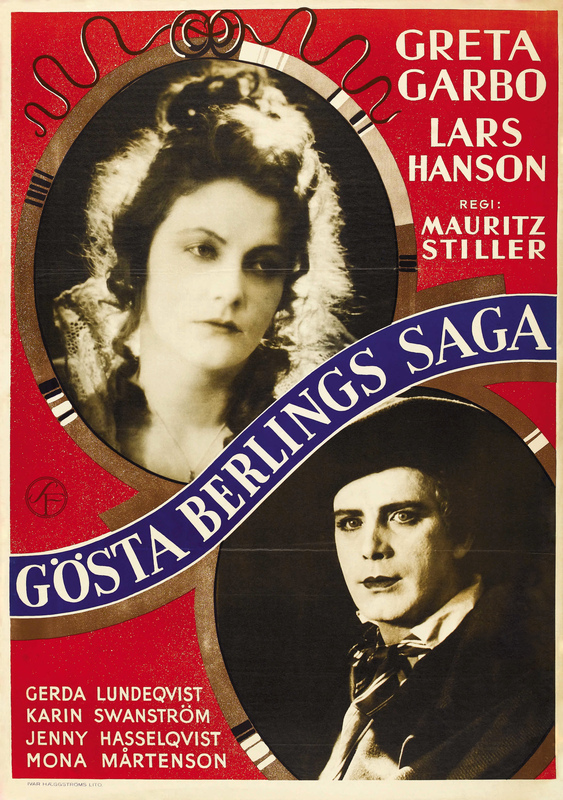 An edited version under the title Legend of Gösta Berling was released in the United States in 1928. It has also been called Gösta Berling's Saga and Atonement of Gösta Berling. Director Mauritz Stiller was to help Garbo in her career more than any other person. It was this film that caused L.B. Mayer to bring the two to Hollywood. "Splendid acting and a great woman novelist are the combination that make The Story of Gösta Berling far and away the best Swedish picture of the year. Selma Lagerlöf's brilliant novel lends itself well to screen adaptation. It is a period play of the early nineteenth century in Sweden. The quaint costumes of the day have been excellently reproduced and the charming backgrounds faithfully reconstructed. The carefully balanced and well-selected cast is headed by Jenny Hasselquist, Lars Hanson, and Greta Gustafsson." "Interest lies chiefly in the background, foreign locales unfamiliar to this side. 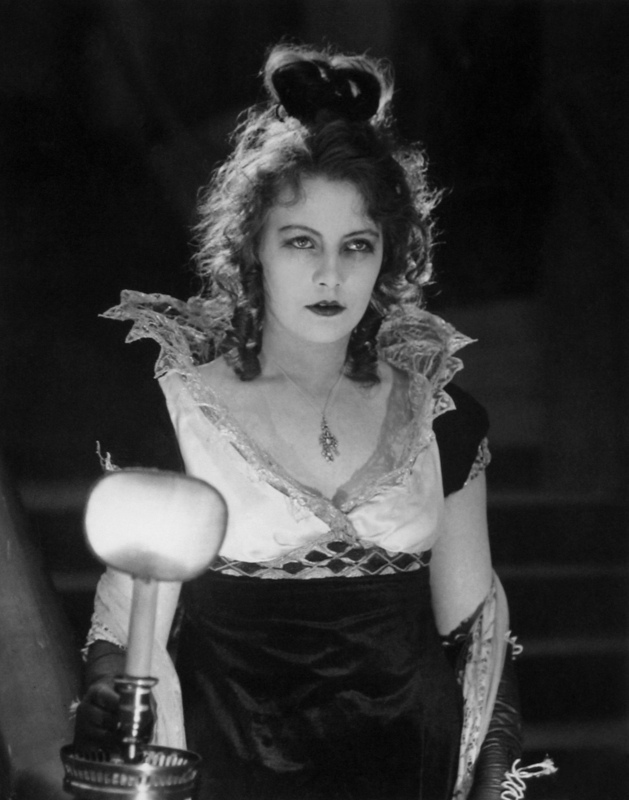 Also interesting is the appearance of Greta Garbo, totally unlike the sleeky dame MGM's experts made of her. Still a picture only for the sure-seat circle...Story based on what is described as a Nobel Prize novel. Must be another case of a great literary effort lost between the scenario and the cutting room...Clergyman angle led to the Fifth Avenue Playhouse billing the picture as the doings of a 'glorified Elmer Gantry'."